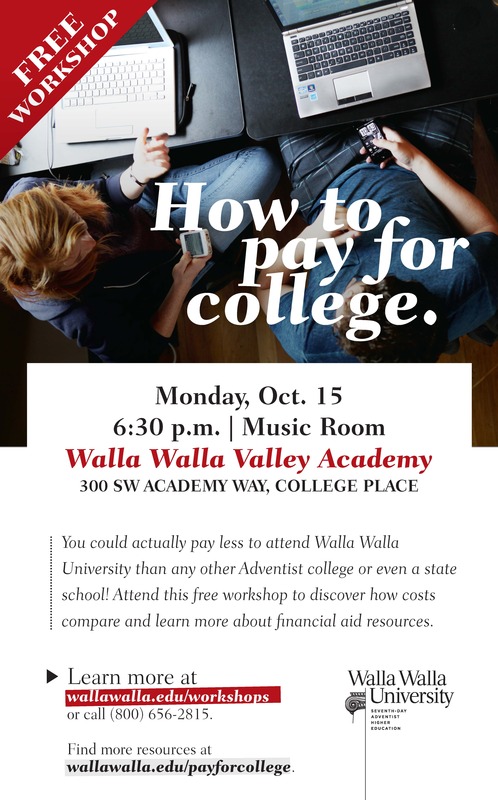 Monday, October 15 @ 6:30 p.m.
Don’t miss this great workshop sponsored by Walla Walla University! It’s never too early to begin to plan for the next step in your student’s educational journey. 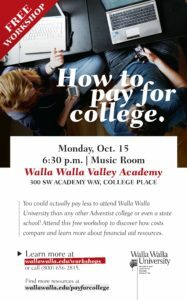 This is invaluable information no matter where your student is headed after graduation.